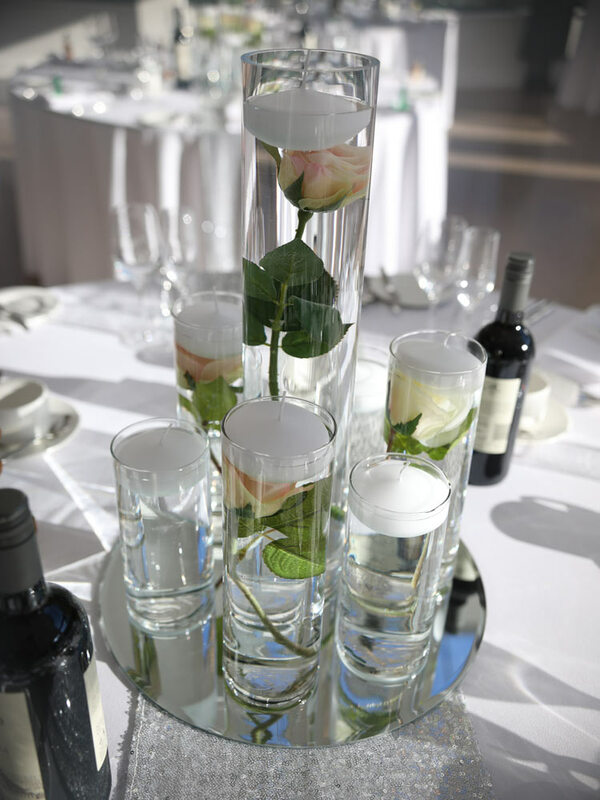 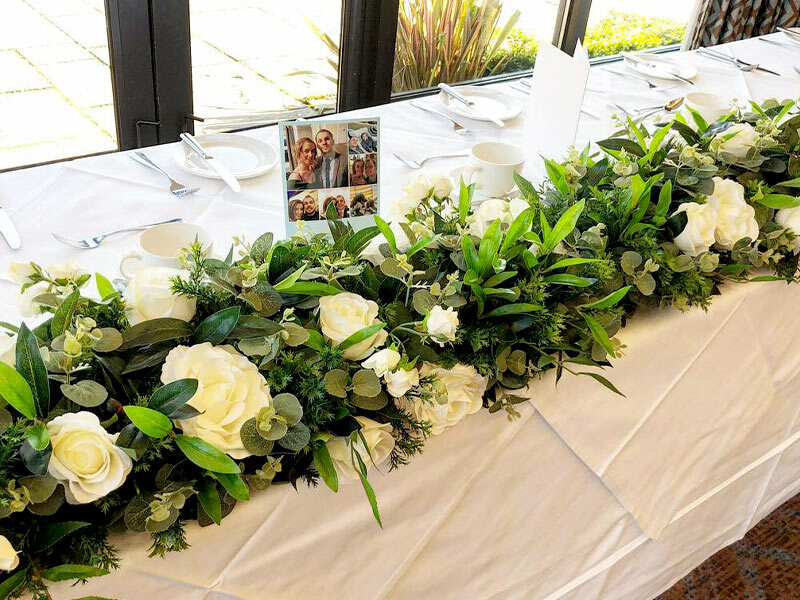 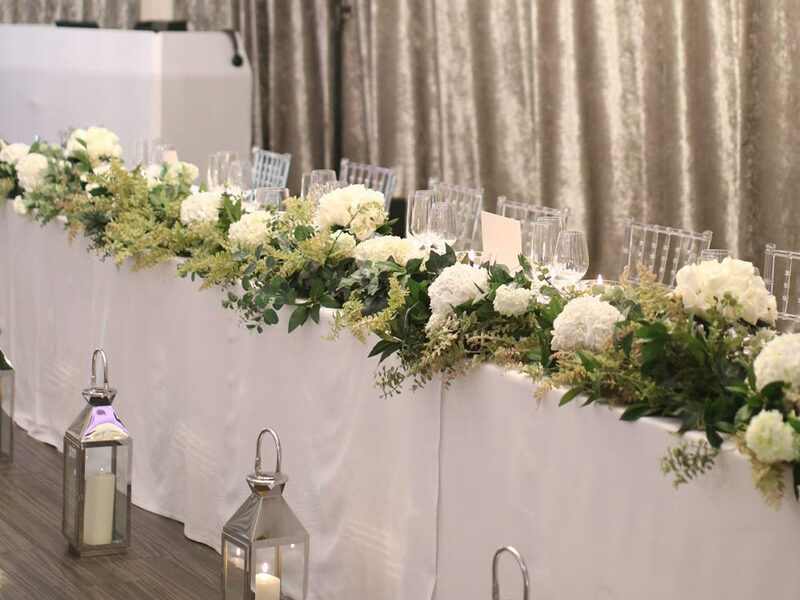 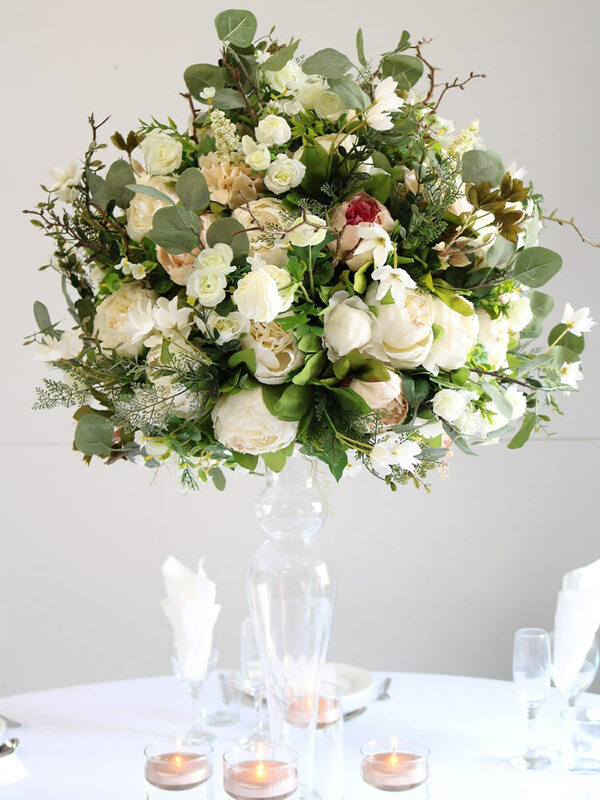 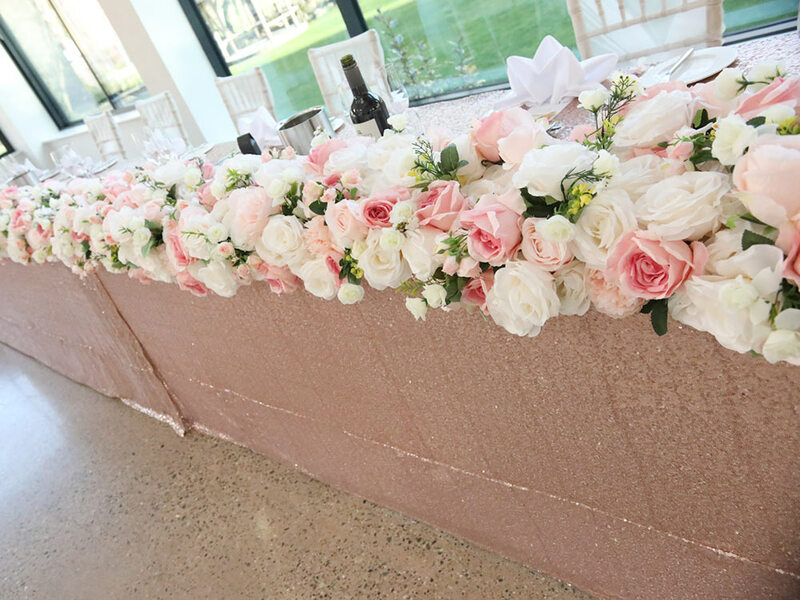 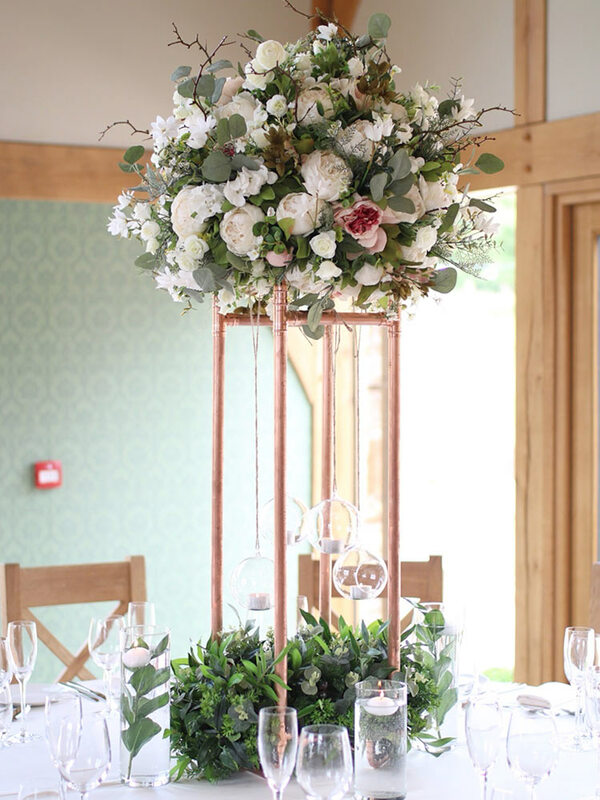 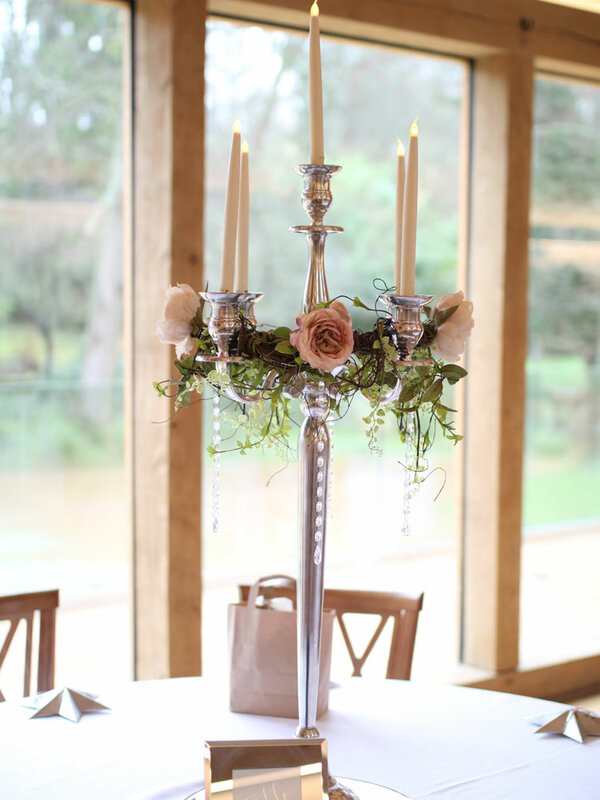 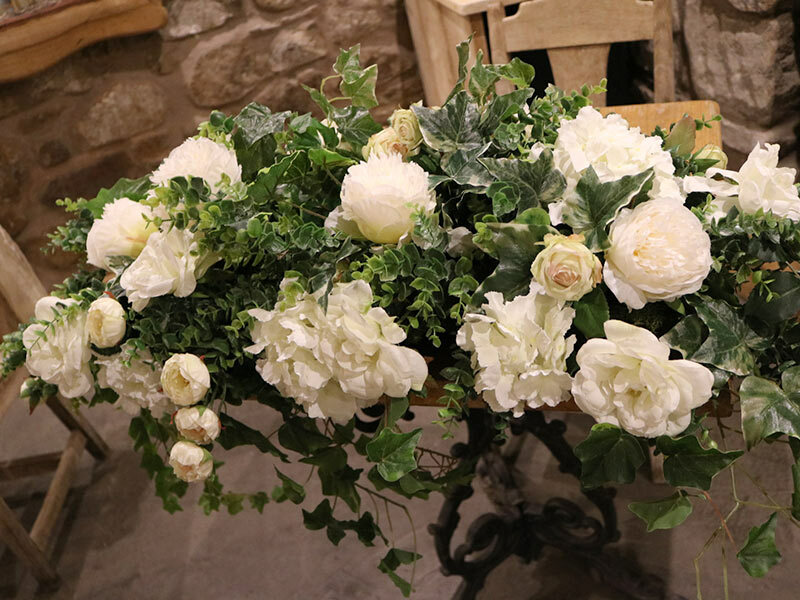 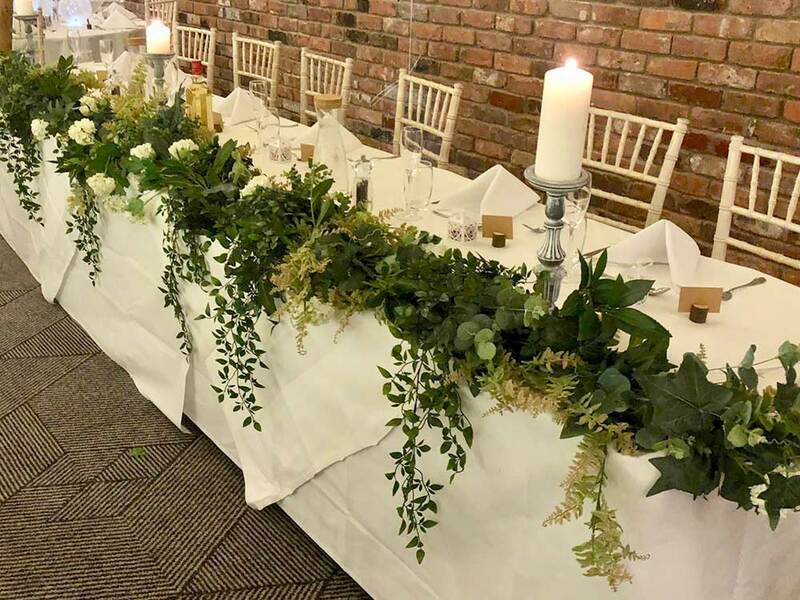 We have some perfect options for your table centrepieces from classic, rustic, floral and glam you will be spoilt for choice . 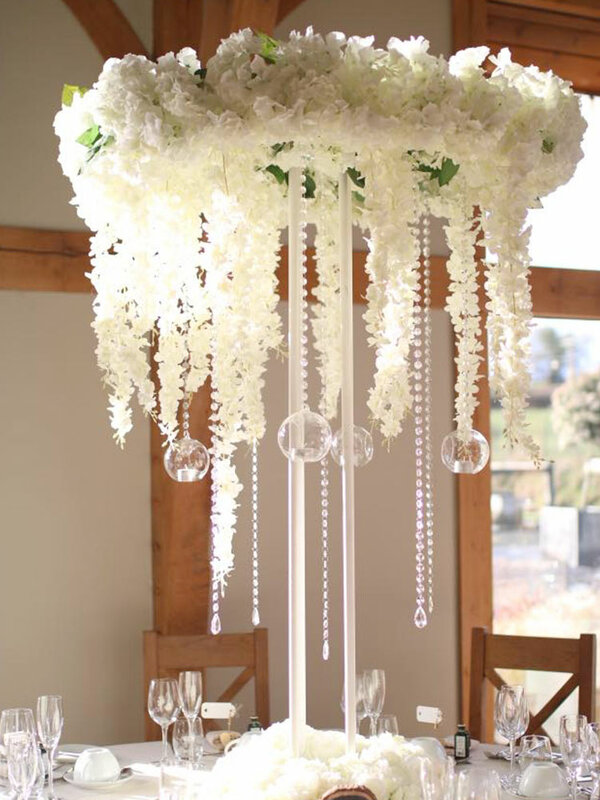 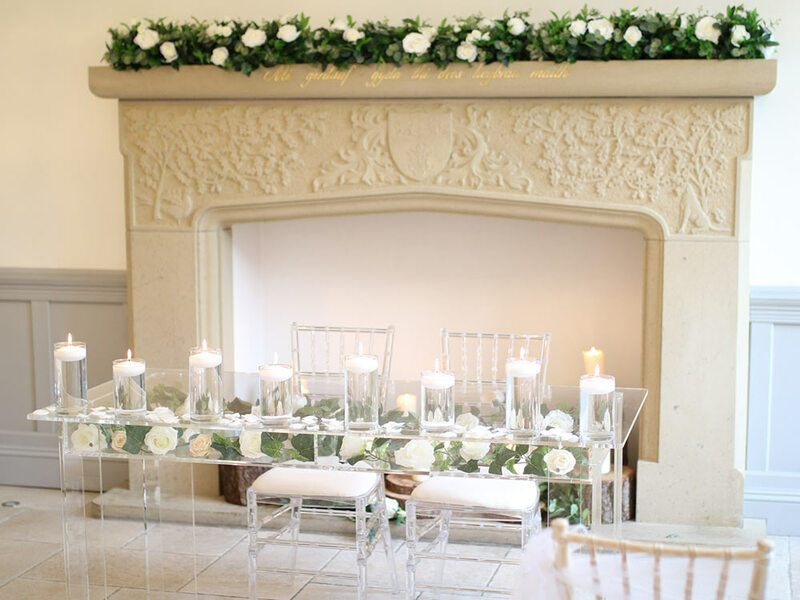 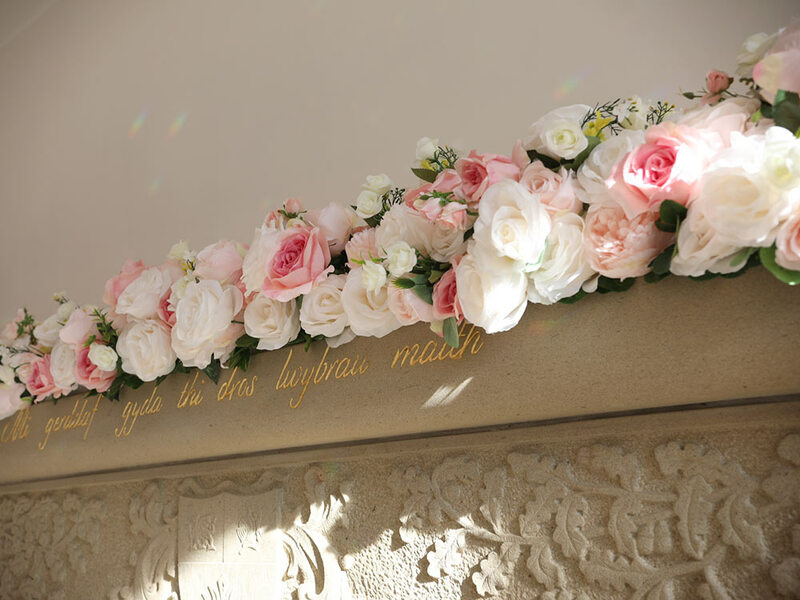 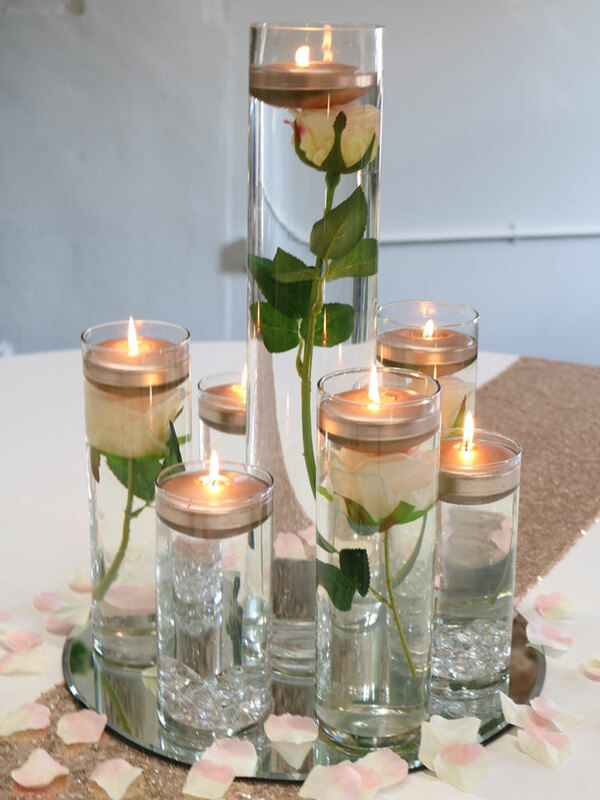 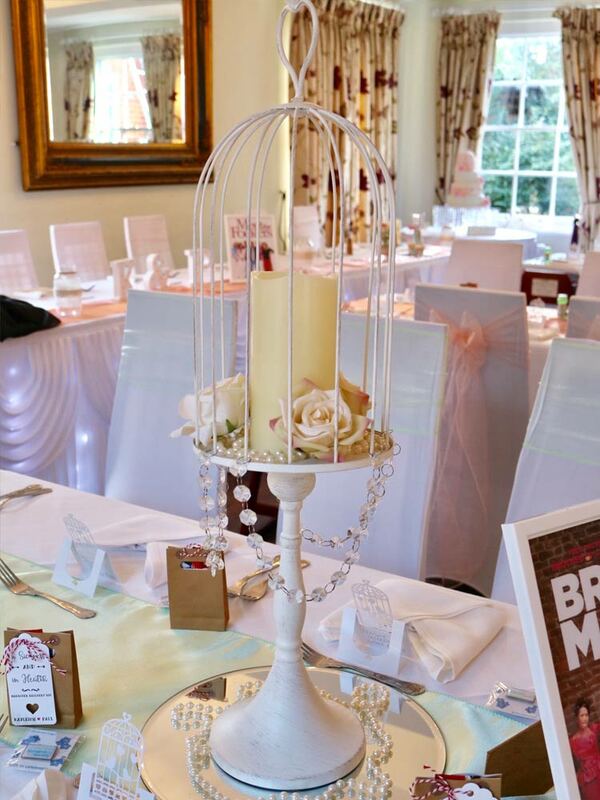 Decoration includes candles, crystals, pearls, petals, artificial flowers, tea lights, wood slice & mirror plates. 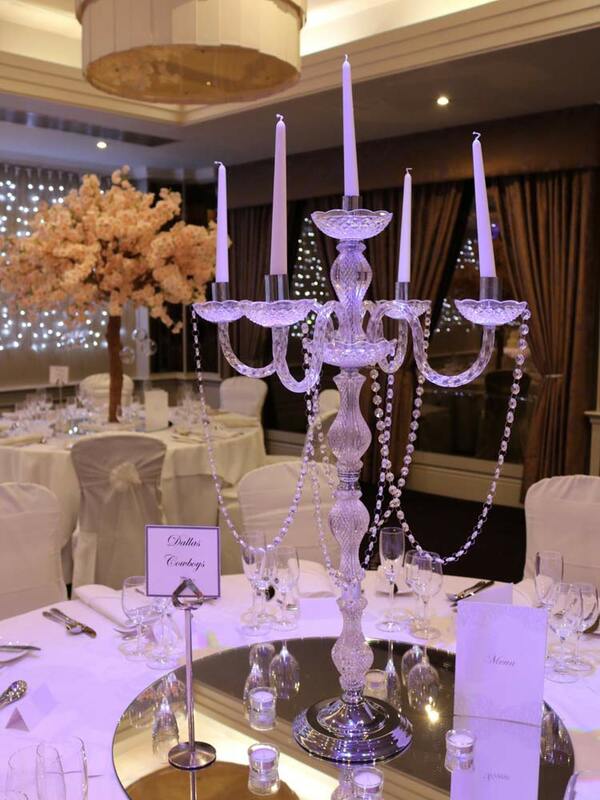 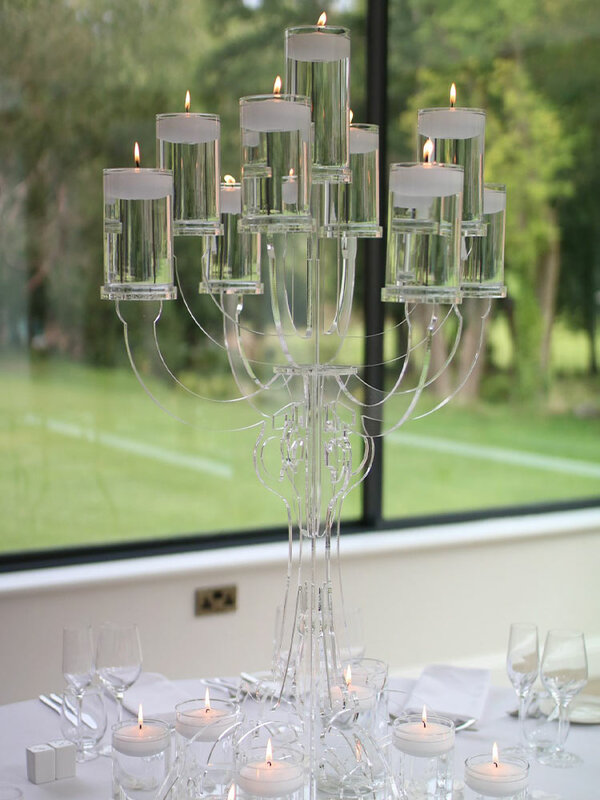 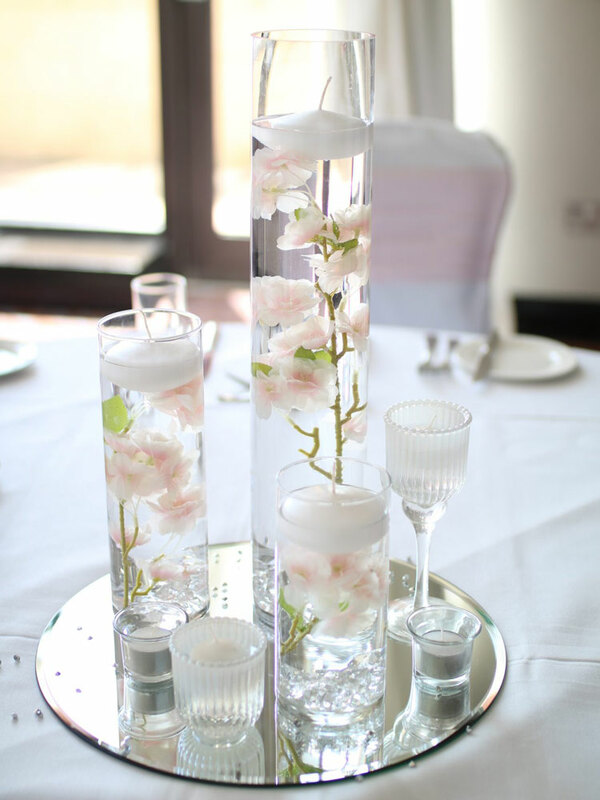 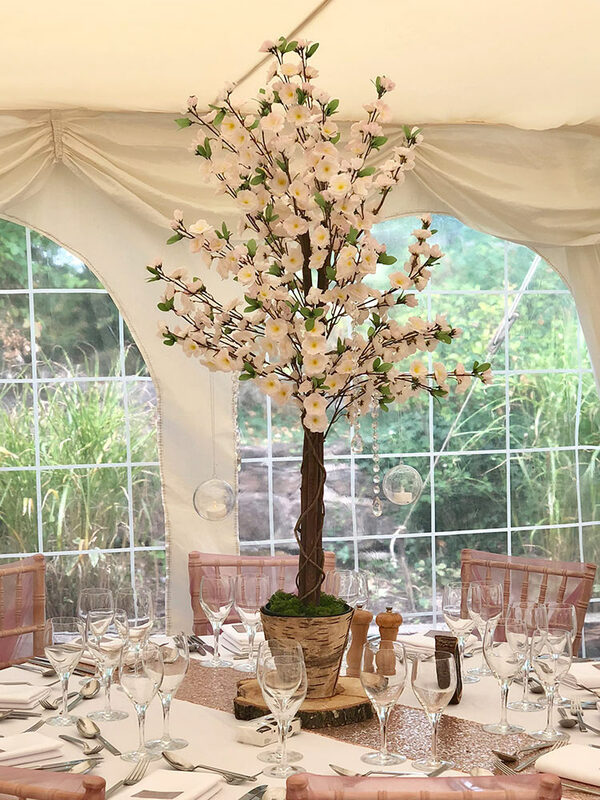 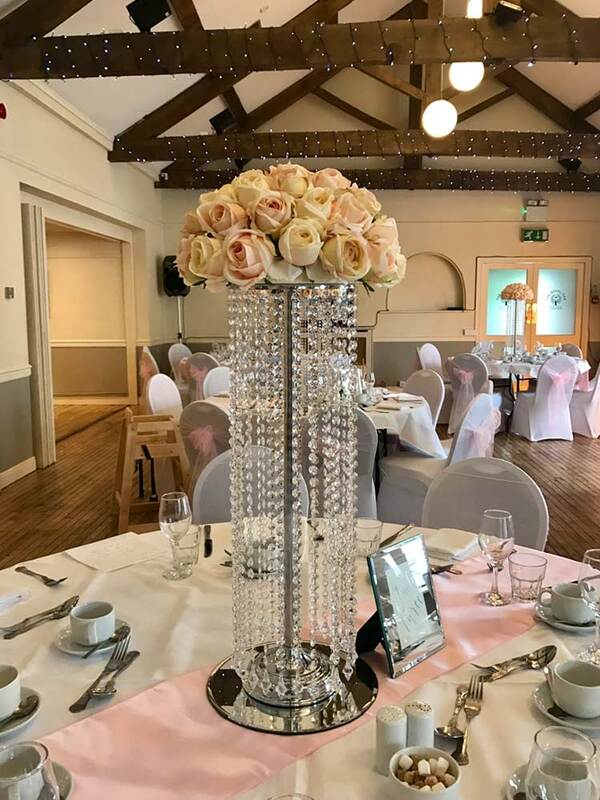 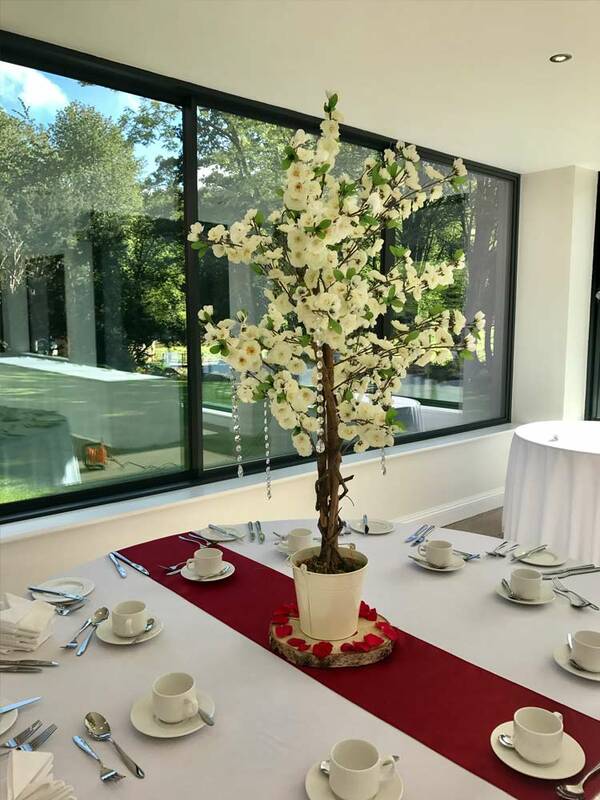 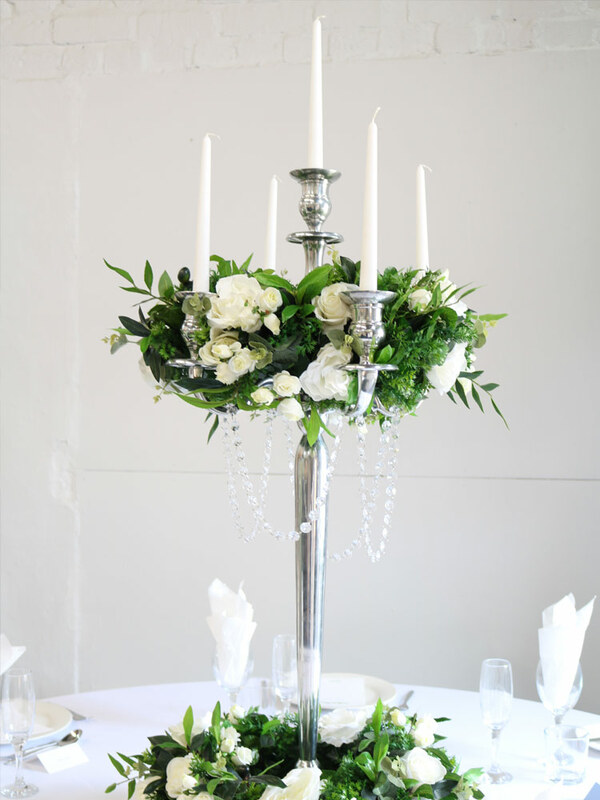 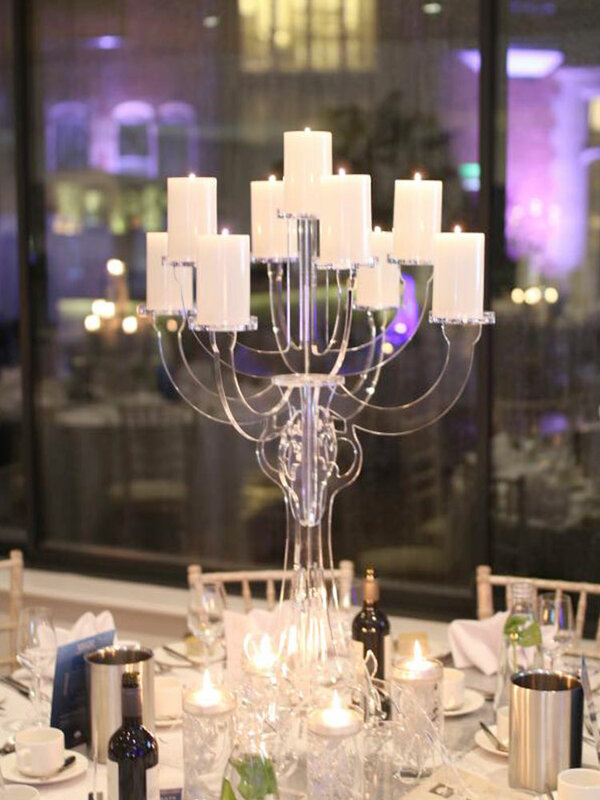 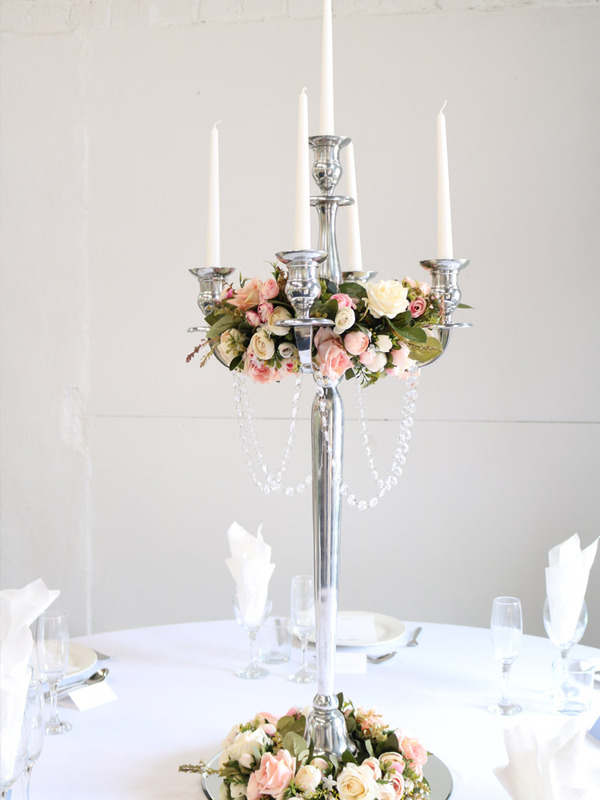 Centrepieces are priced depending on how you would like them decorated, please get in touch for more details and to view them at our showroom. 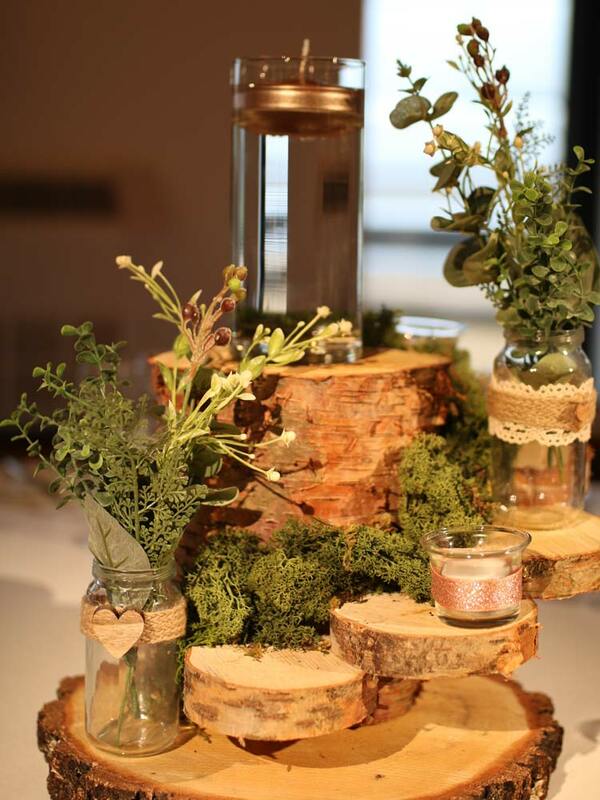 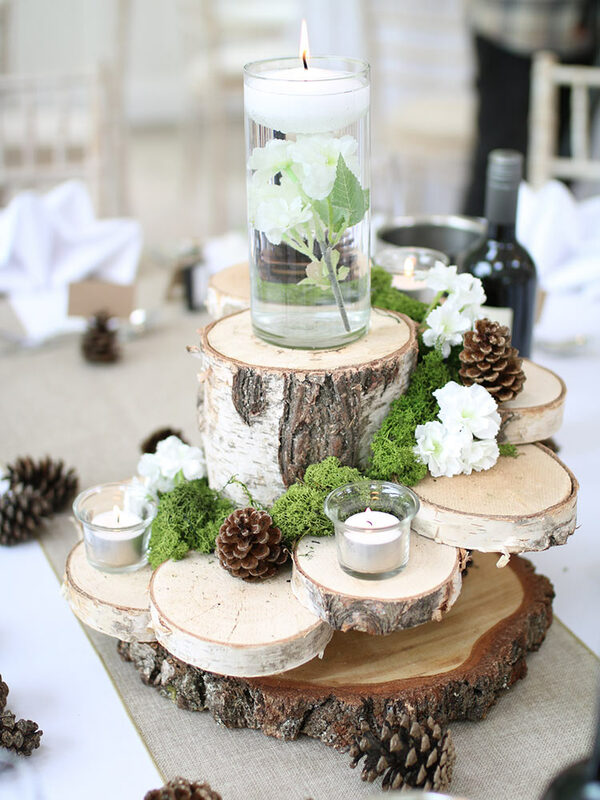 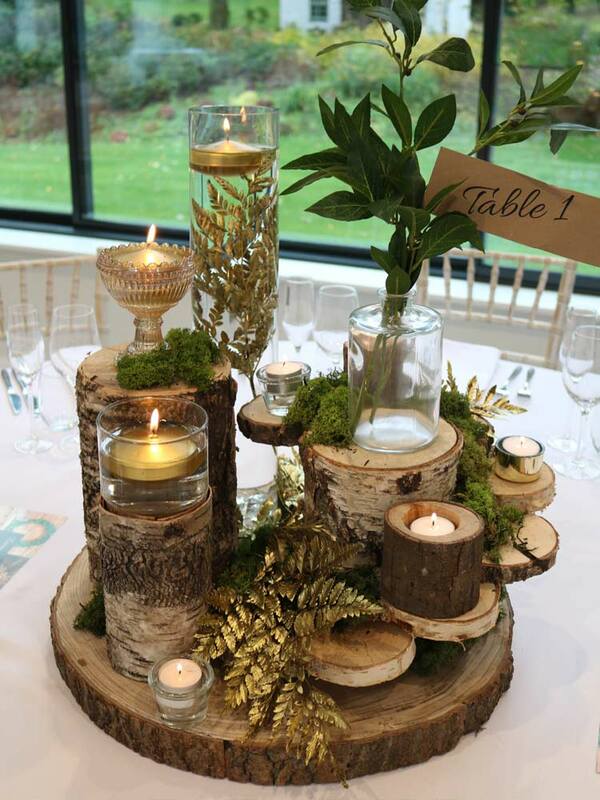 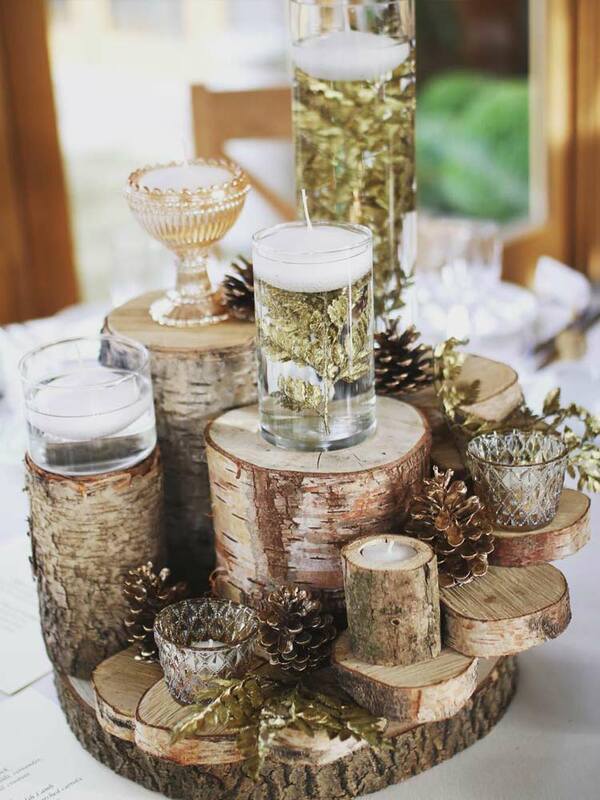 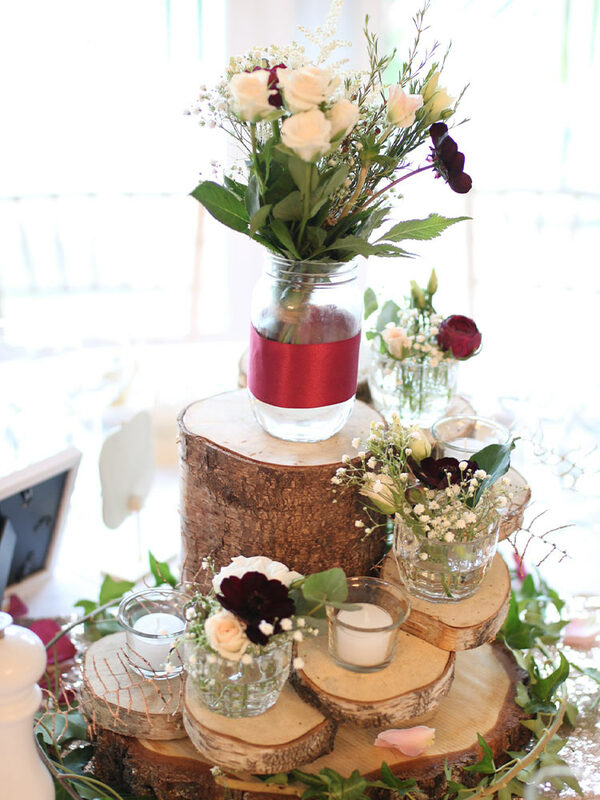 Rustic log slices with decorated jars, tea lights and florals. 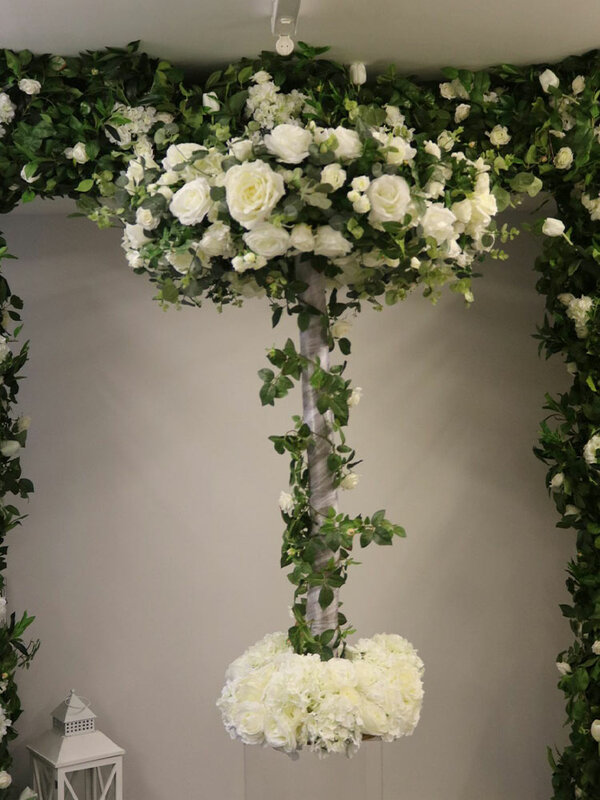 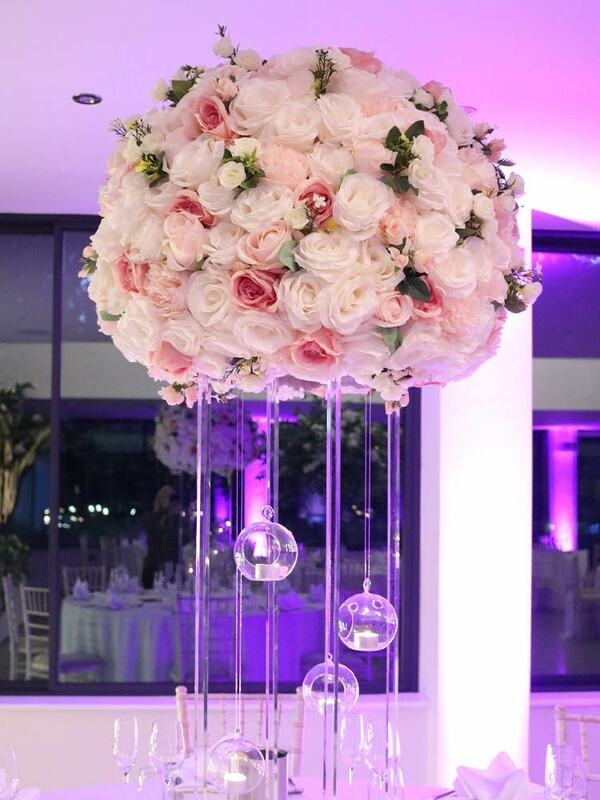 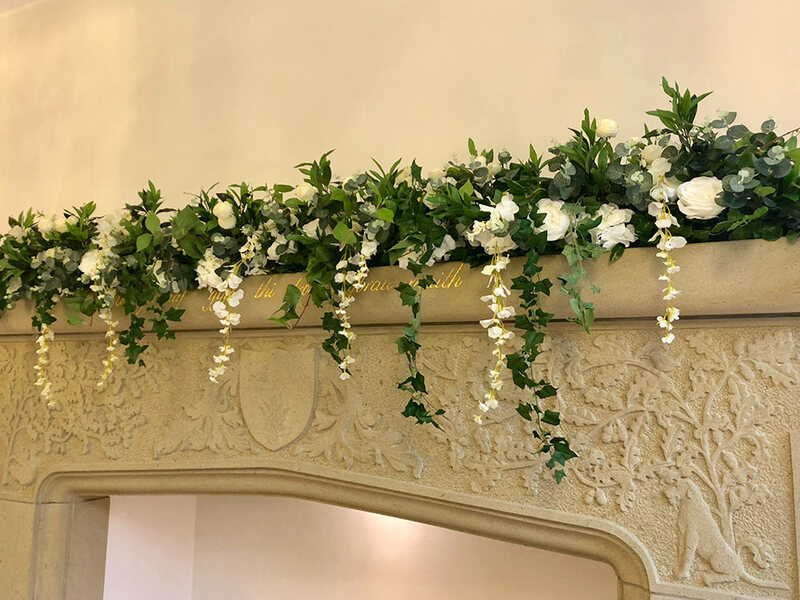 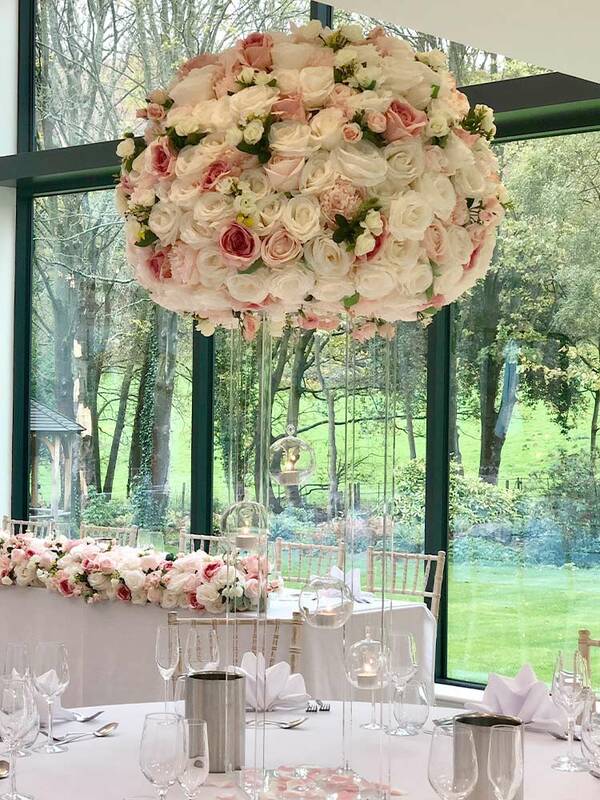 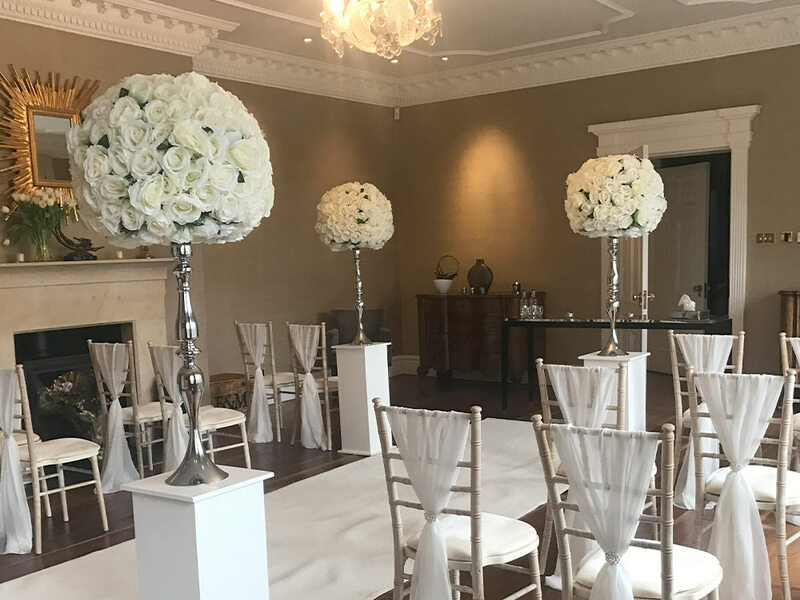 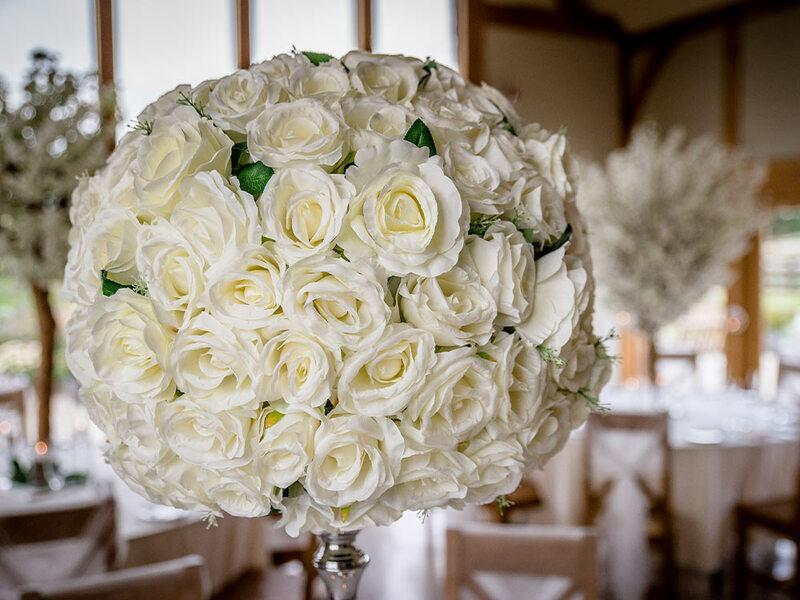 Our beautiful and unique floral pomanders and floral halos are made from the highest quality silk flowers, we have a range of stands for them and they make truly stunning aisle décor standing on pillars and as table centrepieces. 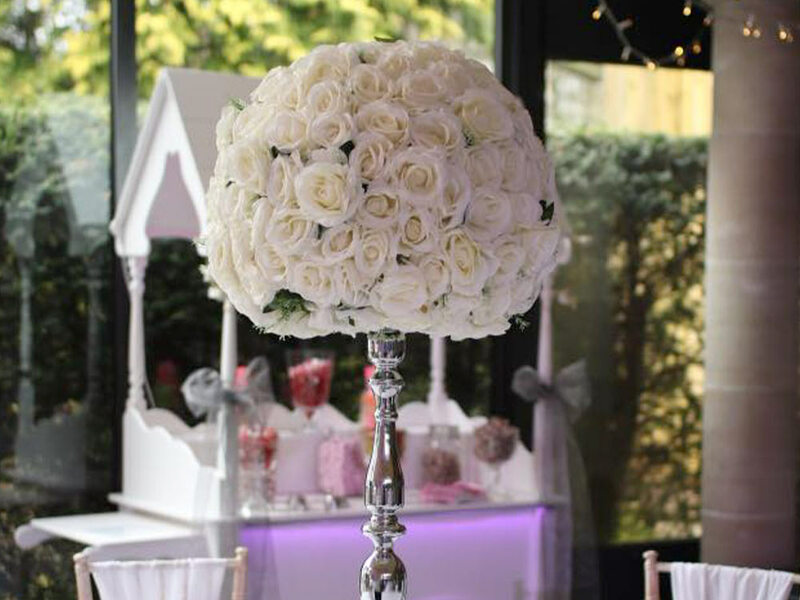 50cm diameter silk ivory rose pomander, standing on glass vase or silver stand. 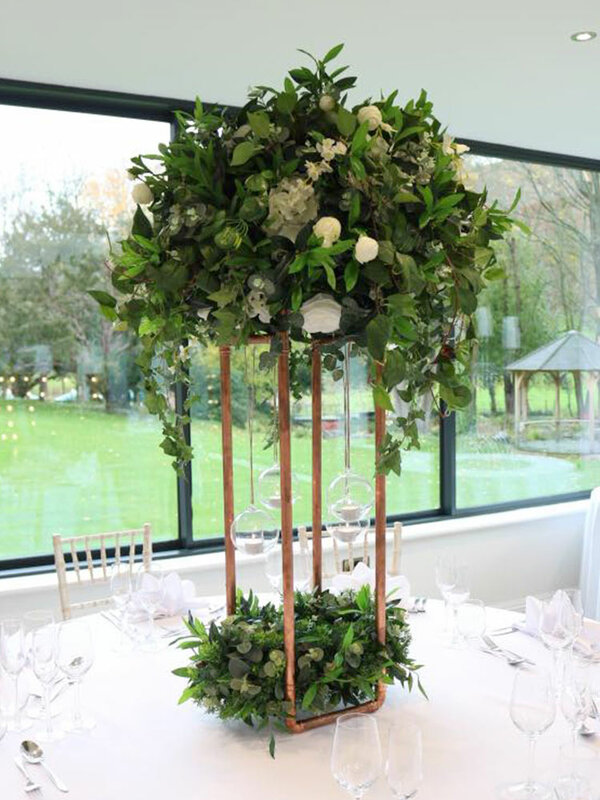 50cm diameter greenery and peony ivory / blush pomander, standing on glass vase or copper stand. 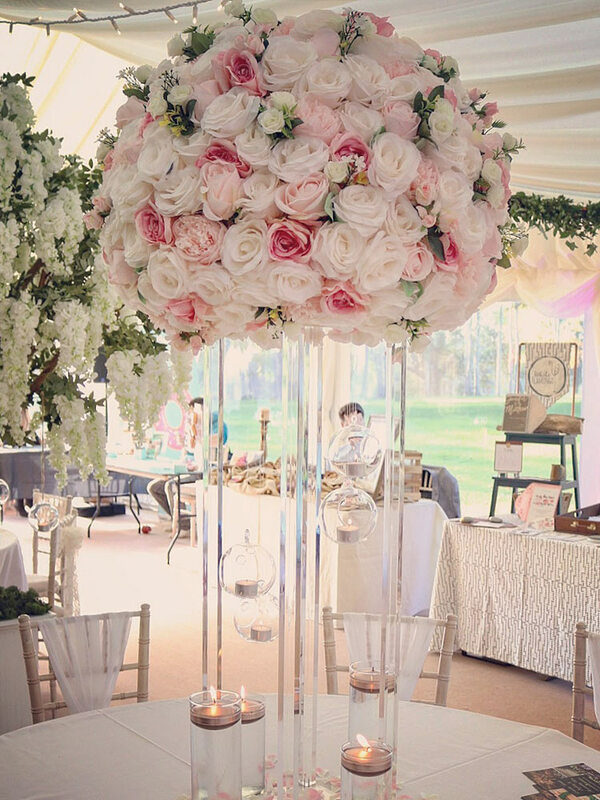 70cm diameter ivory & blush rose pomander, standing on square acrylic stand. 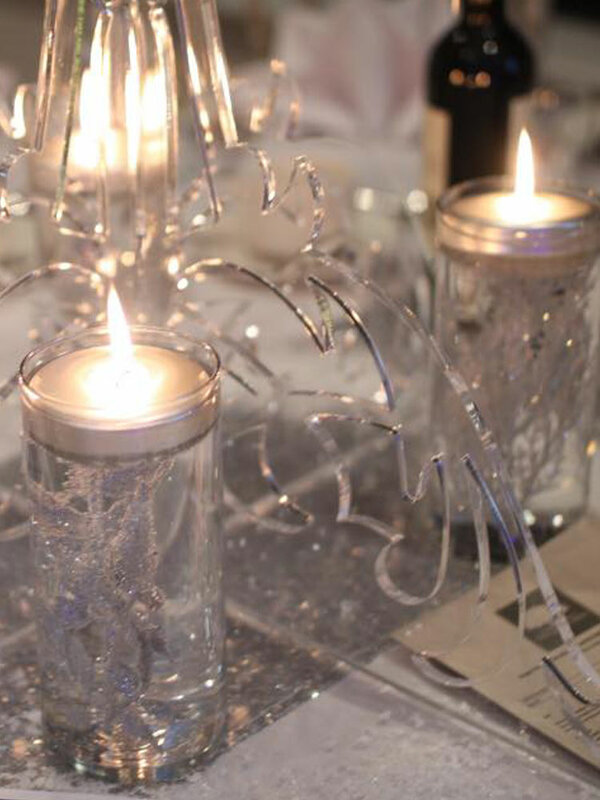 Comes with 4 x hanging baubles & candles. 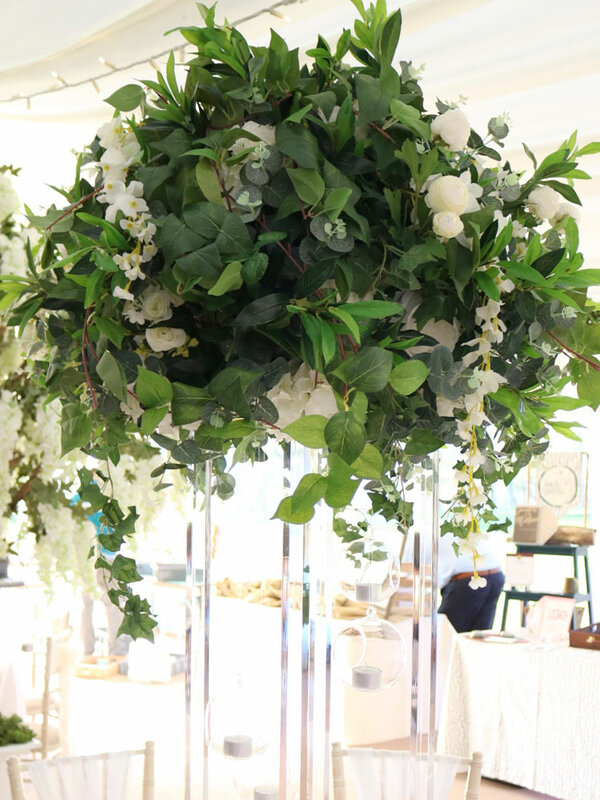 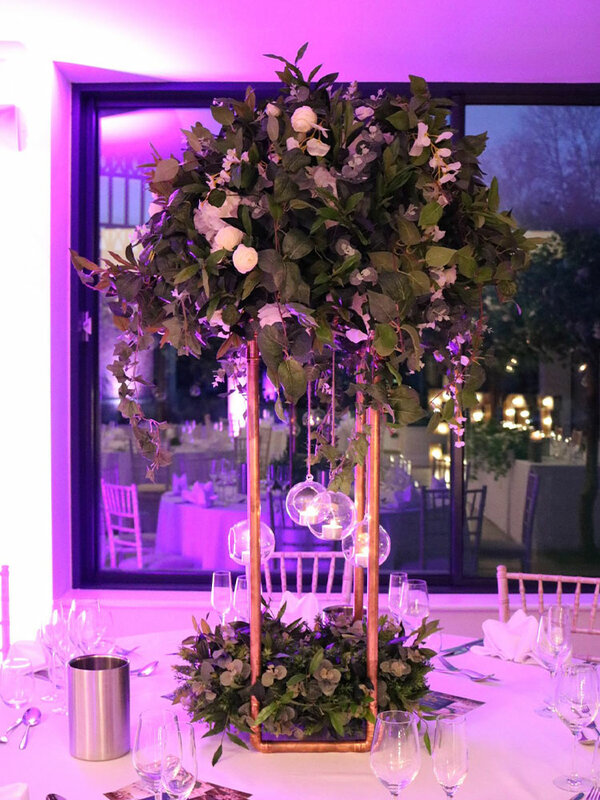 70cm diameter greenery, wisteria & ivory rose hydrangea pomander, standing on square acrylic or copper stand. 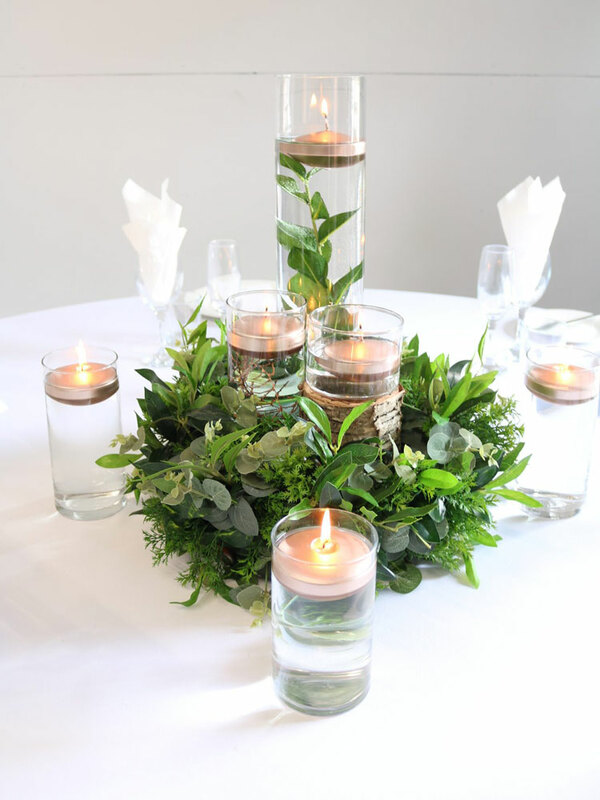 Comes with 4 x hanging baubles & candles. 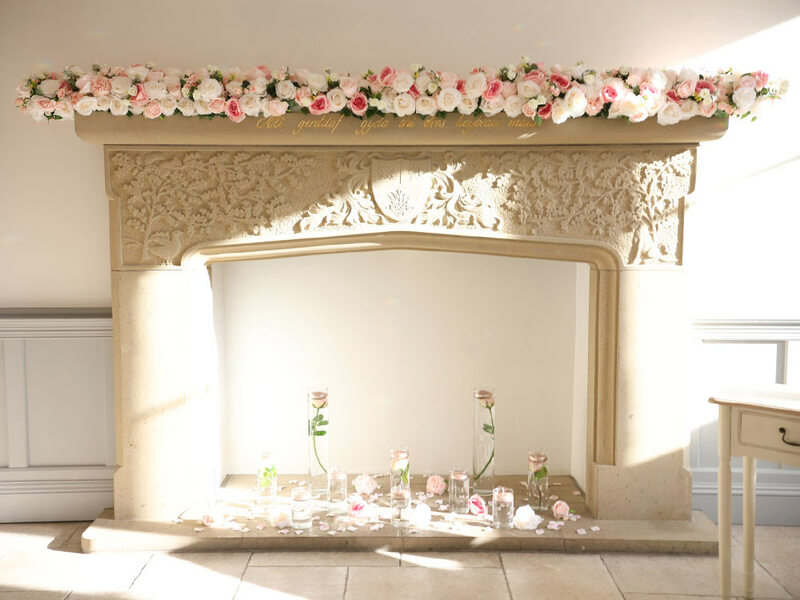 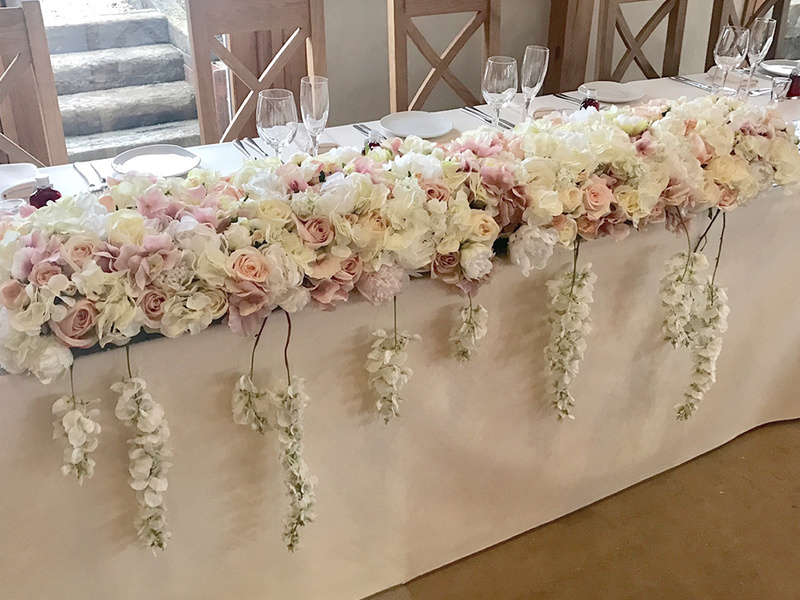 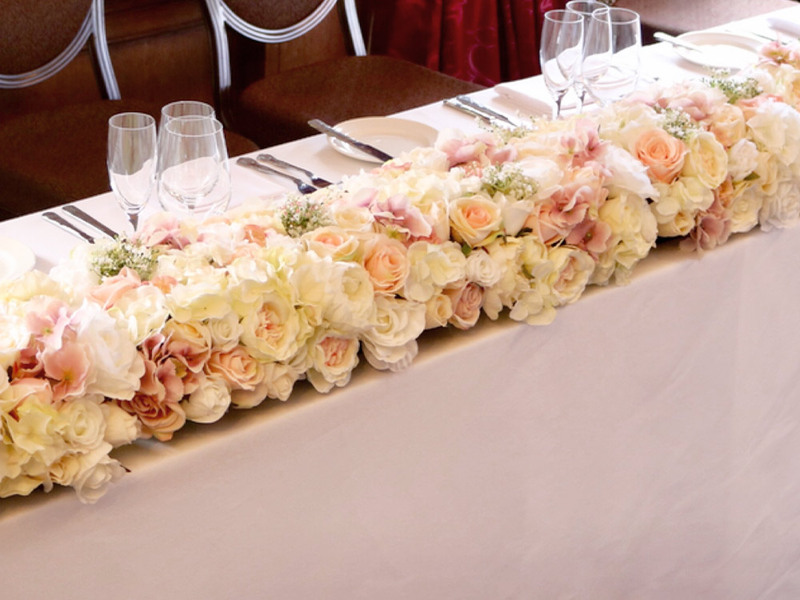 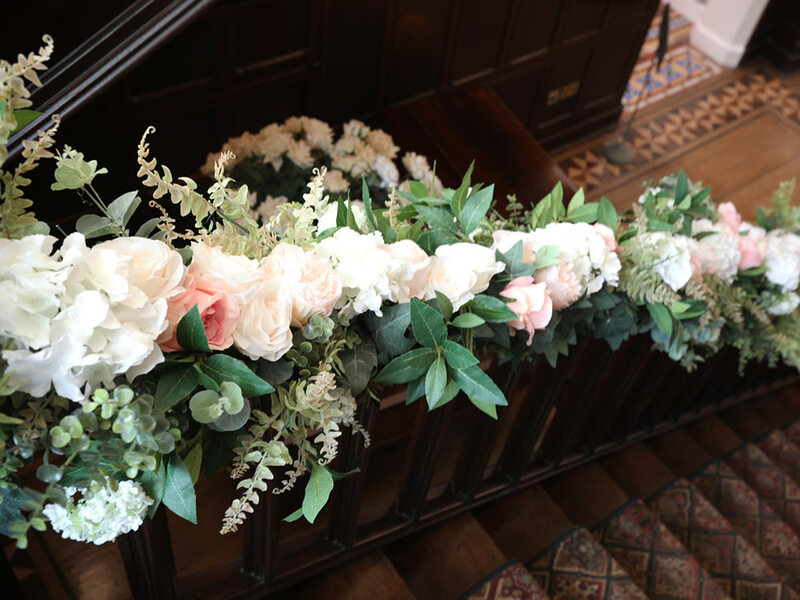 Long floral arrangement in Ivory/blush and dusty pink roses. 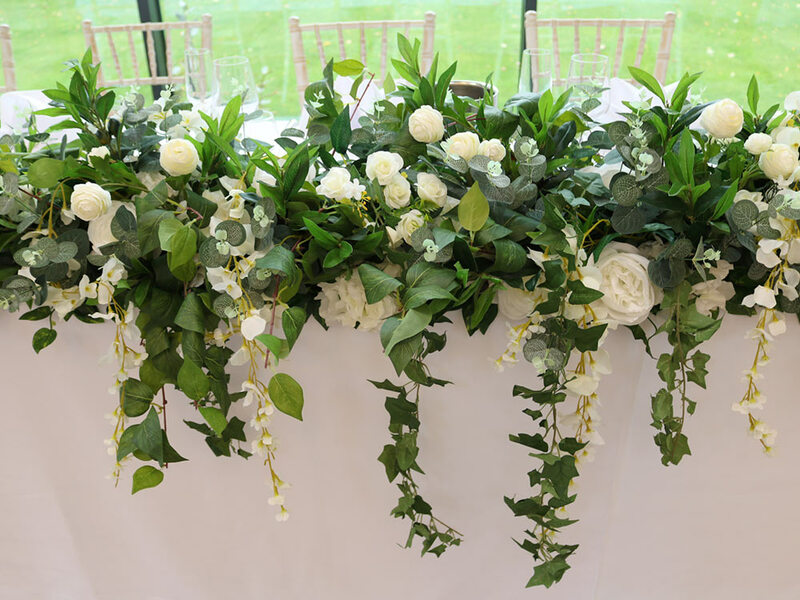 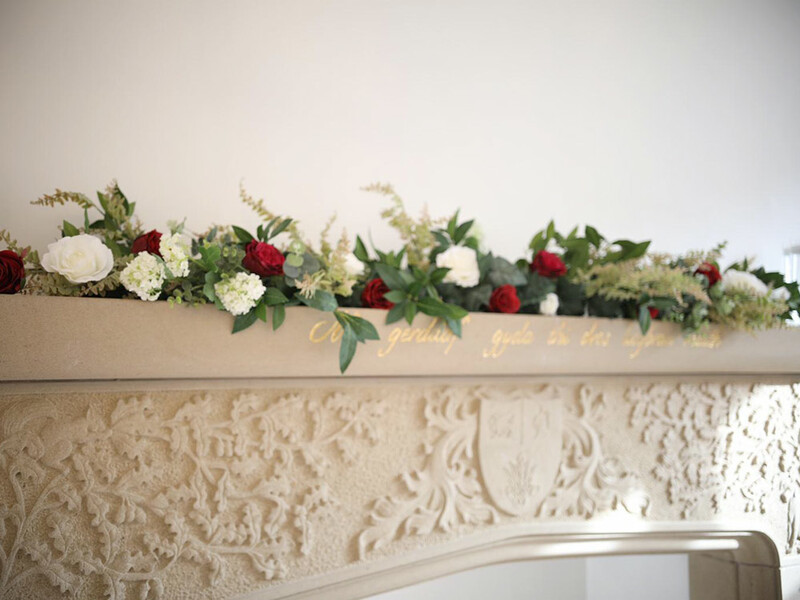 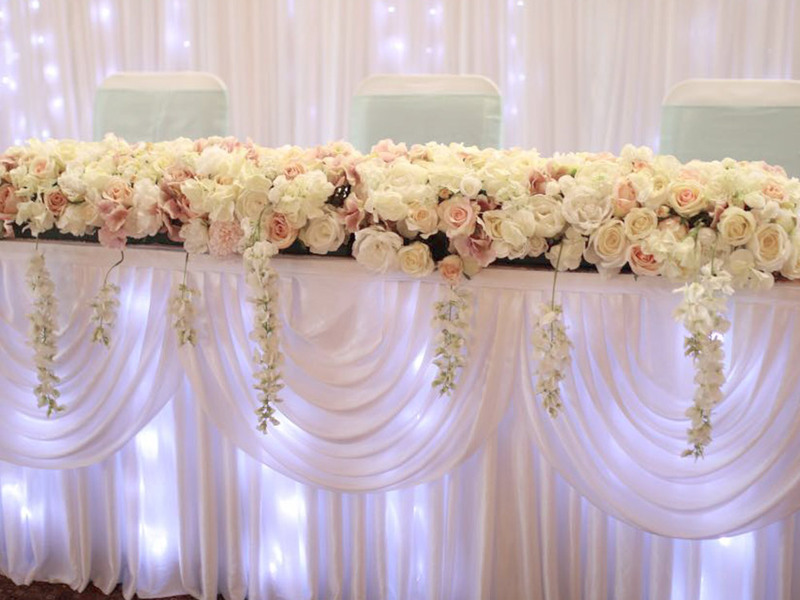 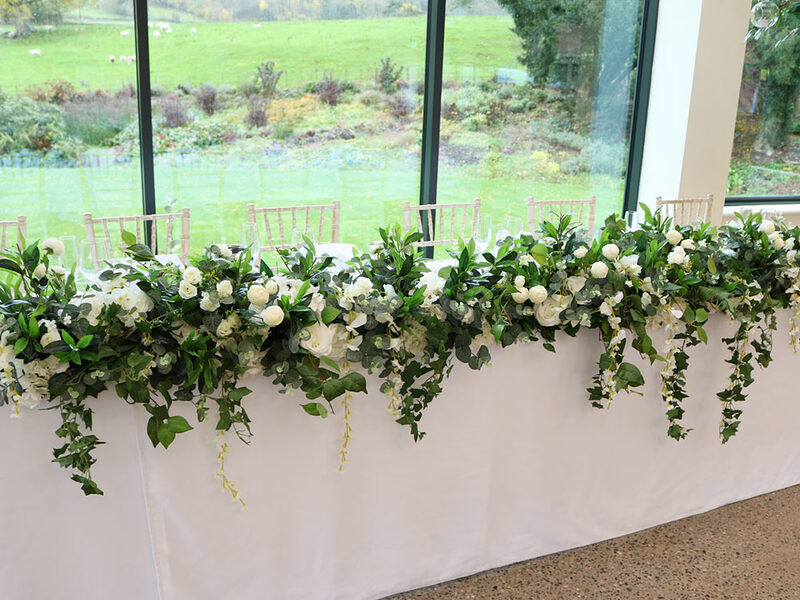 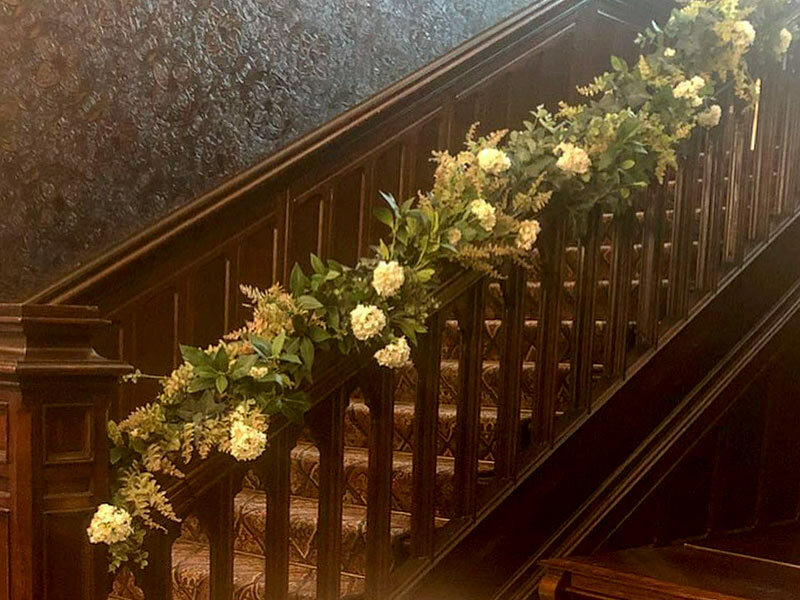 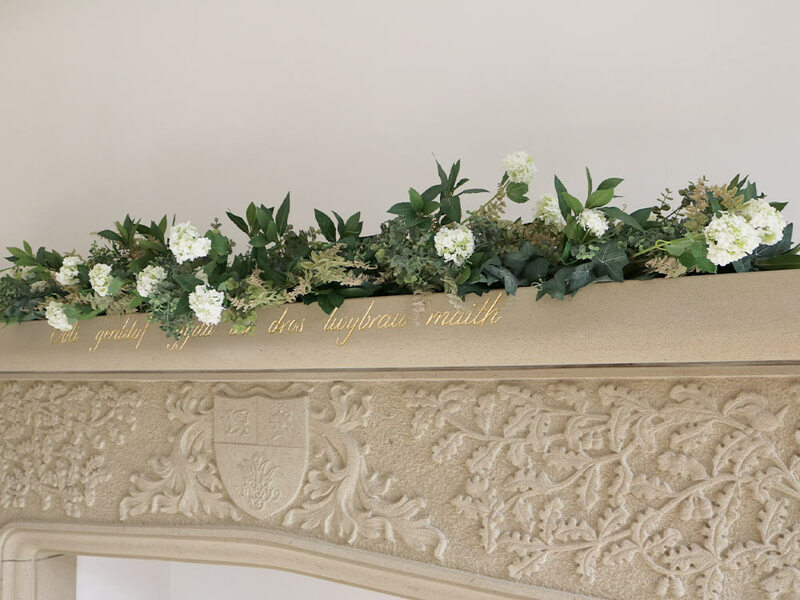 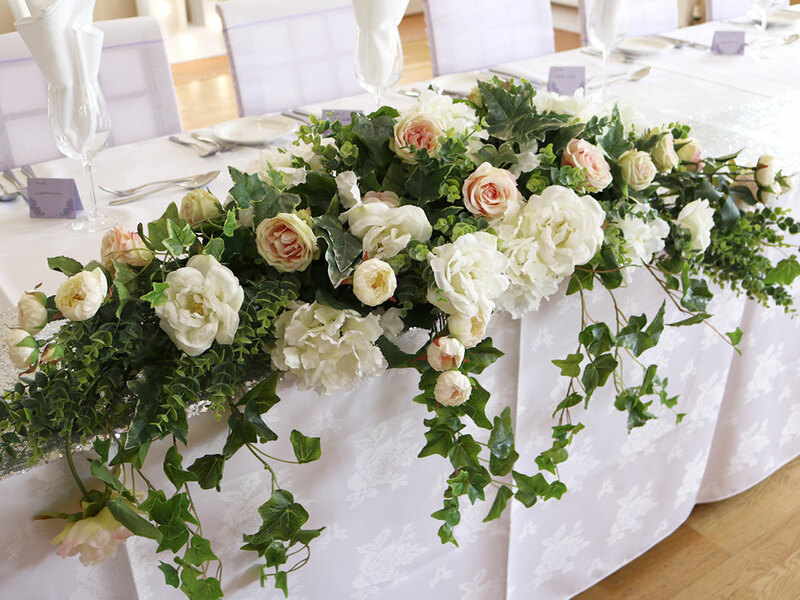 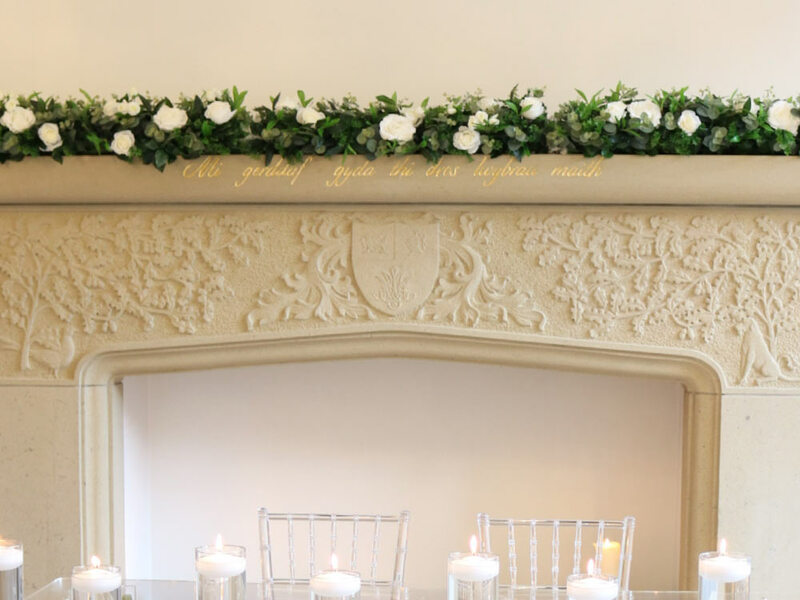 2.2m Long stunning greenery garlands can be used for fireplaces, staircases and along the top table.. 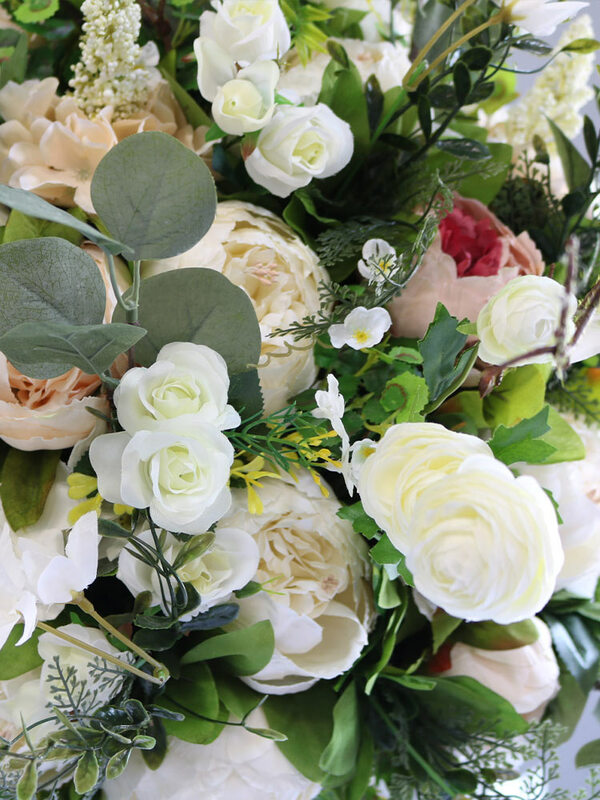 Matching flowers to your colour theme may be added.